REELRADIO - The John Hamlett Collection! Born in Tempe, AZ in late 1944, John Hamlett was named after his father who was wounded in the battle of Leyte Gulf. He moved to Tucson, AZ when he was four years old. In those days before television he developed a fondness for radio and as a very young boy became a regular listener of various programs such as Little Orly and the local country bands appearing on Tucson radio. His favorite singer was Nitta Lynn who performed on KCNA and who surprised him with an autographed photo and phone call on his 8th birthday. 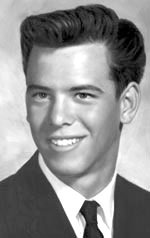 As John grew into a young teen his interest in radio also grew and he became a frequent visitor of the various radio and TV stations in Tucson. He carried a small notebook on trips and would constantly spin the radio dial as he traveled, keeping a log of every station he heard. Like most teens of the day his favorite station was KTKT where Frank Kalil, Chris Borden and Buck Herring were the "monsters of the microphone". Family fights ensued when his oldest sister proclaimed her fondness for competitor KAIR, forcing John to buy his first personal radio, which he wasn't forced to share with his sister. In those days KTKT was a daytime-only broadcaster, so to keep the music flowing after sunset, teens turned to scratchy, static-filled sounds from faraway stations like KOMA. While a sophomore at Rincon High School John tried out for a position with a local station but lost out to a more experienced candidate from U of A. His radio career was put on hold. Shortly thereafter, his family moved from Tucson to the San Francisco Bay Area where he was surprised to find both Borden and Herring spinning the wax on KEWB. Coupled with other big names in rock and roll radio, Casey Kasem, Don Steele and Gary Owens, this was undoubtedly the high point of popular music radio. Life was good and his interest in radio continued as he entered the U.S. Navy. Three years in the radio room of a U.S. Navy destroyer in the Far East increased his radio interest even further with the addition of then state-of-the-art transmitters, receivers (long and short-wave), encryption and the clatter of the ever present teletype machines. He continued his radio log of commercial radio stations all over Asia. John returned to the Bay Area following military service in 1966 and was immediately surprised that KEWB was dropping their music format for the emerging talk and news format. His interest turned toward KYA. It was time to get a career started, but instead of radio, he turned to the emerging Information Technology industry and that marvelous new technology of computers. 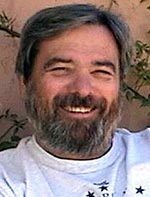 And, after a 30-year career as a computer programmer, systems analyst and department manager, John retired to Phoenix, Arizona in 2001, and is once again free to dabble in his long-time radio interest. John says radio clearly isn't as interesting, varied and spontaneous as it once was. Through REELRADIO, everyone can visit the foundations of modern radio and those influential stations and personalities that made it happen. The Repository thanks John Hamlett for sharing!
. . . Casey At The Mike . . .
Casey Kasem is heard on his 7-Midnight show from KEWB Channel 91 on October 2, 1962. The fidelity of this partially-scoped recording suggests it was made speaker-to-microphone, but it is nevertheless a rare snapshot of both a veteran Top 40 station and a legendary radio talent. You'll hear Casey doing what made him famous  counting down a list of popular songs accompanied by his seemingly professorial knowledge of the performers. It's the Voice Your Choice feature of his nightly show, and here, he counts down the Top Nine hits of the day. On this particular evening, The Los Angeles Dodgers and The San Francisco Giants were about to decide who would play The New York Yankees in the World Series. Los Angeles broadcast personality Cleve Herman offers commentary.
. . . there are a few little wreckless children running around the subways with knives and hatchets and stuff like that . 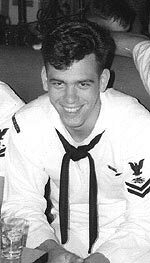 . .
Cousin Mike was a fellow Navy radioman of contributor John Hamlett. He offers an editorial comment about New York Subways as he hosts NightBeat on FEN, an affiliate of the Far East Network, operating in the U.S. Territory of Guam. The station was originally established in 1944. On this technically challenged aircheck, it sounds as if Mike is saying "FEN Again", suggesting that the station had been revived in the sixties. A lot of compression was required to overcome the severe dropouts in this recording, so it sounds as though Mike was IN the same room as the transmitter. Listen to the room noise whenever his mic is open. Cousin Mike says he was from New York, and his editorial and music selection confirm that . He offers a shoutout and dedication to Tony, a crewman aboard the USS Orleck (a Destroyer the U.S. sold to Turkey in 1982!) Also, we learn that Mike has a pen pal relationship with Sheila Smith, but of course, we don't know if they ever hooked up for real. This exhibit is being presented for Veteran's Day, 2012. Years before the cellphone and Internet, this FEN station offered a taste of home.
. . . on your day of leisure . . . This two-part stereo exhibit features Sean Casey on Saturday morning November 7, 1970. Live spots dominate, and Casey's casual and comfortable delivery is perfect for this slick presentation. Produced by a professional WOR-FM technician with practiced Drake formatics and production elements, it's a great 98 minutes of Polished Mass Appeal Variety Hit Music Radio! Unfortunately, the source recording was severely clipped. It's been cleaned up, but you'll hear some high-frequency clicks and artifacts. The good news is that at lower volume on small speakers, it's tolerable. The flutter, of course, is a wonderful feature of those old-timey gadgets called tape recorders. Stereo phase was corrected because it is an issue for our streaming encoder. But the original recording demonstrated that WOR-FM understood the difficult issues of stereo and tape carts. The John Hamlett Collection was established on April 24, 2011.